An innovative, nonsurgical treatment— the Vampire Facelift uses a patient’s own blood to rejuvenate the face. 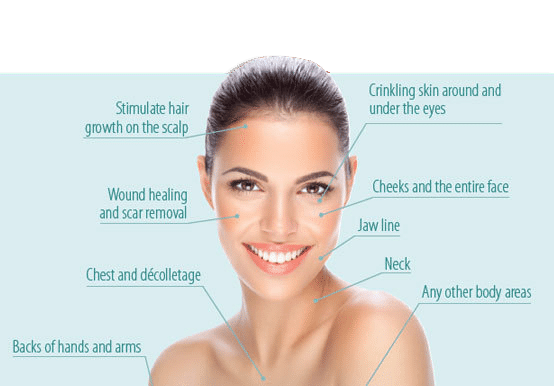 PRP Facelift with PRP injections is a safe and non-surgical procedure that rejuvenates aging skin by restoring skin tone, texture, and volume. The PRP FaceLift utilizes concentrated serum processed from your own blood, that is injected into your skin. The treatment triggers new collagen production, resulting in tighter, smoother and younger-looking skin. One of the excellent advantages of this procedure is that there is no risk for an allergic reaction because it uses your own blood. PRP FaceLift is a highly effective treatment for both men and women. The Vampire Facelift procedure was invented by Alabama Dr. Charles Runels. Dr. Gentry first met and trained with Dr. Runels in 2013. It was then that Dr. Gentry first performed the Vampire Facelift, Vampire Facial, O shot, and P shot. The magic behind the Vampire Facelift is PRP. When you fall and scrape your knee, platelets perform multiple treatment functions. Platelets first stop the bleeding. Next, they activate white blood cells to remove dead-cells and debris. Finally, platelets release growth factors and stimulate stem cells, which triggers tissue regrowth and repair. With the Vampire Facelift, we draw your blood and isolate a concentrated solution of your platelets from the remainder of your blood. This PRP solution consists of your own blood products. We basically trick your platelets into thinking there has been an injury and inject the PRP into your face in a certain method to stimulate growth of new tissue. This growth occurs gradually over the next 3-12 weeks. Because the procedure involves only HA filler and your own blood products, the risk is the same as that of fillers alone. This is typically mild swelling and bruising to the injected areas that resolves within 2-3 days and can usually be covered by makeup. While the Vampire Facelift is applied with an injection, the Vampire Facial is a topical procedure. It’s a subtle way to improve the shape, tone, and texture of your face without surgery or extended recovery time. You will have the immediate effects of the filler and over the next several weeks, your body will grow new tissue as well so there is a longer effect as well. Treatments start by drawing a patient’s blood, similar to a blood test. We then isolate platelets (PRP growth factors) from that blood—all within about 10 minutes in the office. We then perform a microneedling procedure, creating tiny channels so the PRP can penetrate the skin. The Vampire Facial costs $600, which includes the microneedling, blood draw and aftercare kit. The Vampire Facial involves a combination of microneedling and platelet rich plasma (PRP). Microneedling uses a tiny needle to superficially penetrate the skin at a rate up to 25,000 times per minute. While this may sound painful, due to the numbing cream most patients have little to no discomfort. This breaks up abnormal collagen in the targeted area and stimulates the growth of new collagen. The PRP contains concentrated amounts of your own growth factors to stimulate the growth of new collagen and blood vessels. This gives your face a gradually improved texture, and a youthful glow while reducing scar tissue. The Vampire Facelift improves facial volume and skin tone because it’s injected under the skin. As a topical PRP application, the Vampire Facial concentrates more on skin texture and superficial skin tone. 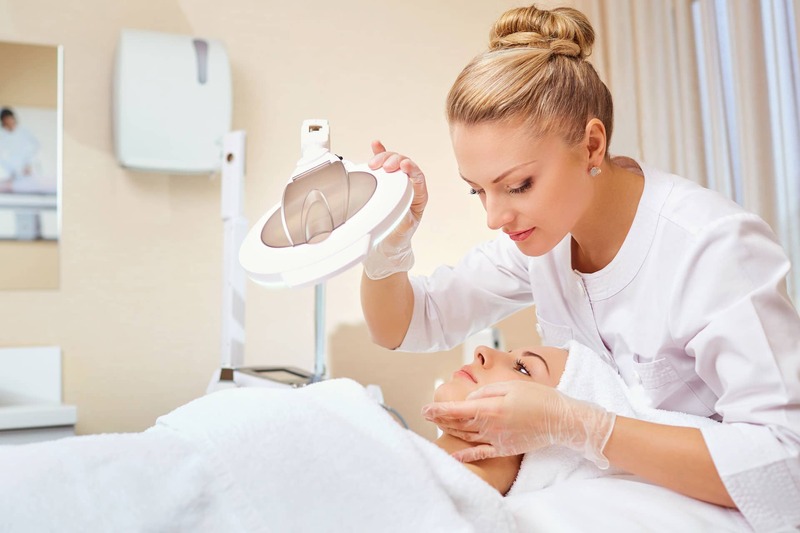 The Vampire Facial is also effective at reducing acne scars.